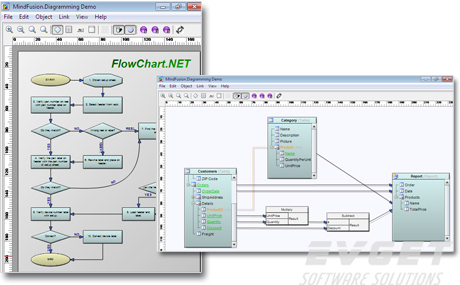 FlowChart.NET is native .NET component.helps you create and present work flow and process diagrams; database entity-relationship diagrams; organizational charts; object hierarchy and relationship charts, graphs, and trees. Its' basic types of objects - boxes, tables, and arrows - can be grouped and attached one to another and combined in complex structures. The control provides more than 50 predefined box shapes, as well as custom-designed and custom-painted boxes. 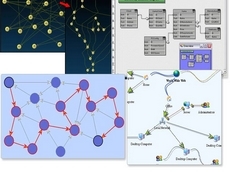 With Diagramming for WinForms you can build any type of diagram - from the classical flowchart to a lane diagram, hierarchy, classification or a genealogy tree. Even a complicated chemical synthesis scheme is drawn fast and easy with the tool. The control supports a wide range of node types, such as Shape, SVG and TreeView. You can build complex nodes comprising smaller components such as text boxes, images and buttons using the CompositeNode class. Table nodes have unlimited number of rows and columns and support spanning cells. When it comes to choosing the right connectors in your diagram the options are simply limitless. You have tens of predefined arrow heads with customizable colors and anchor points. Links can be straight lines, Bezier, with one or many segments. They can preserve their form when dragged. Labels at each segment or at the whole link are supported with customizable font. Arrow routing is also an option. And if you need something very special, you can use custom-drawing. 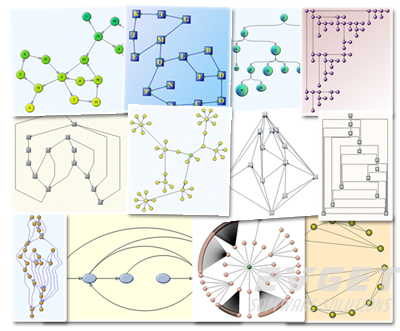 Diagramming for WinForms offers an impressive list of more than 15 topological, structural and force-directed layouts. Each layout has a variety of settings to help you turn your diagram into an easy to read and comprehend chart. Applying a layout is more than easy - you do it with two lines of code. Performing basic operations at a graph is done fast and easy with the tool - you can track all incoming and outgoing connectors of a given node, its successors and predecessors. Among the advanced options are cycle detection and path tracing. Applying to your diagram eye-catching colors is done easy with one of the 45 predefined themes. Styles are also supported. 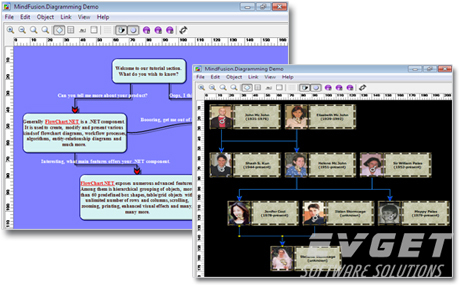 Diagram nodes can be placed into layers, tabbed view and grouping are among the options. You can use drag and drop, rotation and complex box shapes. You can even add your custom code for drawing diagram items.